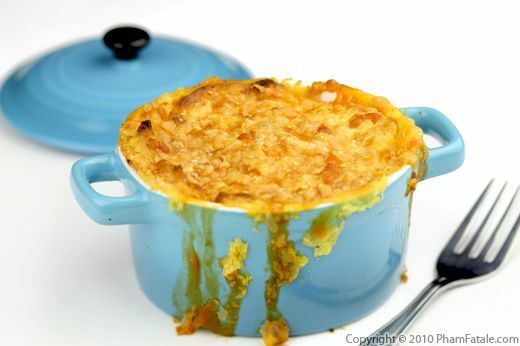 Shepherd's pie is my way of turning two Thanksgiving leftover dishes into one beautiful, delicious meal. We always have excess mashed potatoes and turkey and this is a great way to give them a second (or third in the case of the turkey) life. To start, I make a brunoise, which is a blend of same-sized and shaped diced leeks, turnips, carrots. Tomatoes and shredded leftover turkey are also added to complete the mixture. Layered over the turkey brunoise is a generous helping of fluffy mashed potatoes. A sprinkle of Dubliner cheese seals the dish. Finally, shepherd's pie is baked until golden. Voilà!! I actually prefer this to the original roast turkey. It’s got such an intense flavor and a wonderful contrast of textures and colors. It may be called shepherd’s pie, but it is a dish fit for a king. 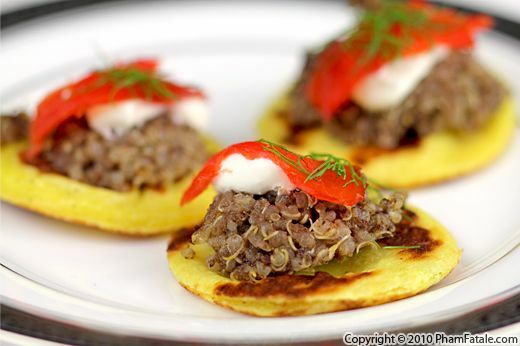 Potato blini appetizers would make an attractive addition on any Thanksgiving table. The true beauty of this dish, though, is its flavor. Atop each potato blin I placed a generous portion of quinoa, a caviar look-alike, which I mixed with homemade tapenade for added flavor. I topped the mixture with a dollop of crème fraîche, a piece of smoked salmon (optional) and garnished the little bites with dill. Unlike cutlets (Indian version of the potato bite), potato blini contain eggs and flour (no bread), so the appetizers don't fall apart when your guests pick them up. The result is an edible piece of art that is almost too pretty for your guests to eat. 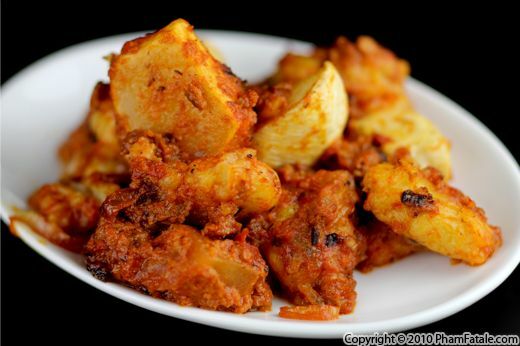 Aloo gobi is an Indian vegetarian dish made with potatoes (aloo) and cauliflower (gobi). I gave a little twist to the dish by using purple cauliflower and Peruvian purples, which are Fingerling-sized, purple-tinted potatoes. Except for these changes, the recipe remains the same. 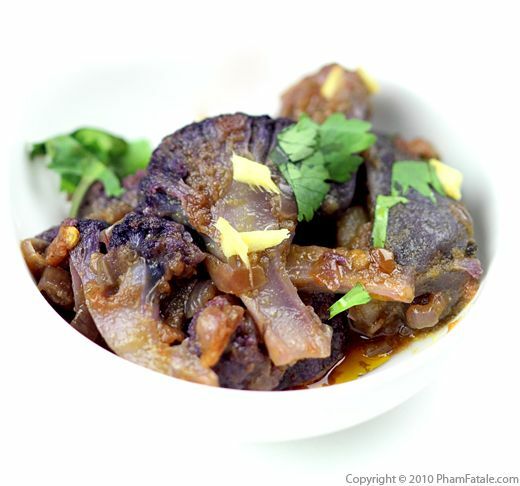 The lilac color from the cauliflower slightly fades once it's cooked, but it's still a great addition of color to the Indian dish. It stokes curiosity and brings a new experience to the dinner table. I've made the same recipe using orange cauliflower and sweet potatoes in the past, and it also worked quite well. Now, I'm off to test carrot purée using Okinawan sweet potatoes and purple carrots. I’ve been having way too much fun with this! Bolognese gnocchi is comfort food at its best. And with the chilly temperature we've been having this week in the Bay Area, a warm bowl of potato gnocchi pasta in Bolognese sauce fits the bill. It took some time to complete the meal but it was so worth it. I made everything from scratch. I started by simmering Bolognese sauce for over an hour. While the beef and tomatoes were cooking down in the sauce, I mashed potatoes and added flour to form the gnocchi. I also added roasted turnip to give texture to the dish. I didn't add cheese to the dish because I've been trying to be healthy and hit the gym regularly, but I'm sure a sprinkle of Parmesan cheese wouldn't hurt the flavor. It’s up to you! Hasselback potatoes are a variation on roasted potatoes. 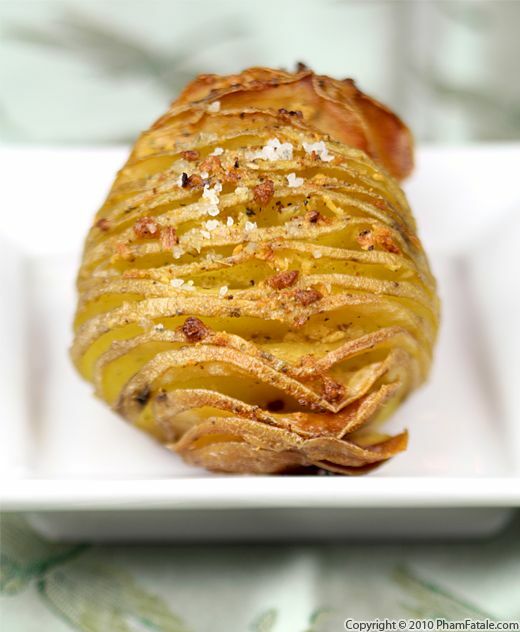 The potatoes have a crispy outer skin with a delicious, soft inside. The cooking technique isn't different from common baked potatoes, with the exception of being thinly sliced into an accordion shape. A blend of butter and garlic creates a crunchy outer crust that is perfectly seasoned. To guarantee that the potatoes are cooked through, I parboiled them for a few minutes, cut them into a fan shape, dried them in the oven, then smeared them with a generous amount of garlic-flavored butter. The accordion potatoes have a fancy presentation, but really, the dish isn't complicated at all. I'm thinking of serving hasselback potatoes for Thanksgiving this year instead of the roasted potatoes I typically make. As an added bonus, they go great with meat or poultry, making them perfect for turkey day.